Overwatering a plant happens when the soil does not dry out enough in between waterings, or when a plants roots sit in water for an extended period of time. The excess water and moisture can eventually suffocate the roots, causing them to begin to rot. Read more about root rot here. Signs of overwatering include, leaves browning and yellowing, leaf drop, and stems becoming soggy at the base. Overwatering happens over time and is not caused by giving your plant too much water one time. Some plants need the soil to dry out more than others between waterings. For example - with cacti and succulents, you want the soil to dry completely between waterings. With most tropical shade plants and trees, you only want the top half of the soil to dry between waterings. With moisture-loving plants like most ferns, you only want the top of the soil to dry between waterings. One of the best ways to determine if your plants need water, is to place your finger a couple of inches down in the soil. If the soil feels cold or moist at all, wait another day or two before watering (depending on the plant). If the soil feels dry and dusty, it is probably time to water your plant. If you plant a plant into a planter that doesn't have a drainage hole, you can add a layer of gravel at the bottom of the pot to create a small area for excess water to sit. Then, water sparingly. 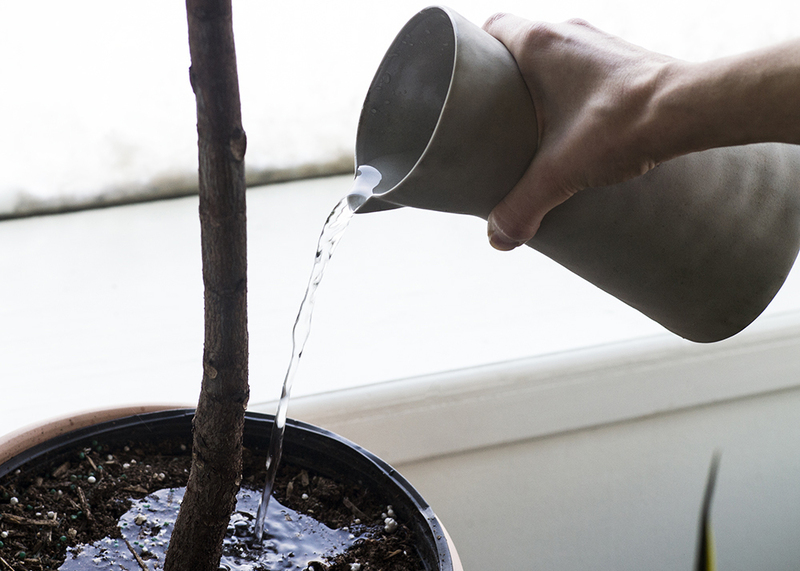 Remember that any water you add will stay in the planter and too much water could suffocate the roots. With some plants, you can wait until the leaves begin to droop a little before watering, to make sure you don't over water the plant. To aerate the soil, you can use a chopstick, or something similar to place down into the soil to create air pockets. This basically takes the place of small bugs and worms in the soil that would have otherwise done the job (outdoors). This helps to make sure that the soil doesn't become too compact, allowing the roots to breathe.